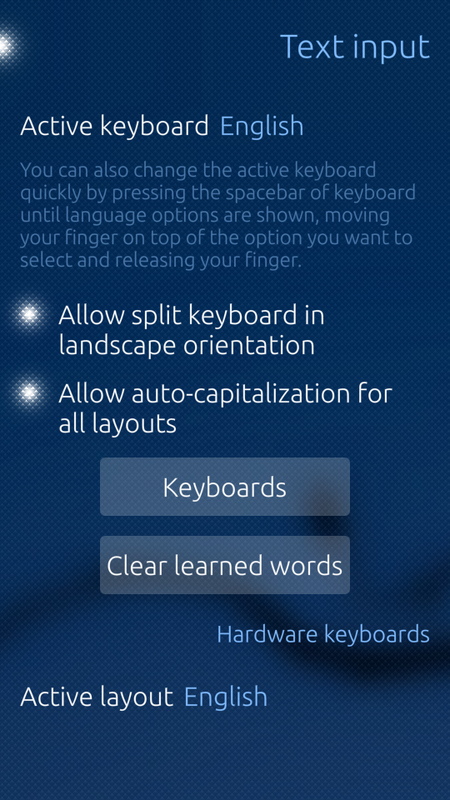 Adds an option to Text Input settings to disable autocapitalization for all layouts. Help translate to your language! Already in Chinese (China), Danish, Dutch, Dutch (Belgium), English, Finnish, French, German, Hungarian, Italian, Polish, Portuguese, Russian, Slovenian, Spanish, Swedish. Thanks to translation team! Swedish translation is totaly f***d up. Makes no sense at all. Please, don't use it. Oh, thanks for your feedback! Please help me correct it.